Planes are grounded, tap water comes out hot, and we’d all better get used to it. In the Arizona desert, as far back as weather records go, it&apos;s never been this hot for this long. In Phoenix, just to the north, temperatures were even hotter. 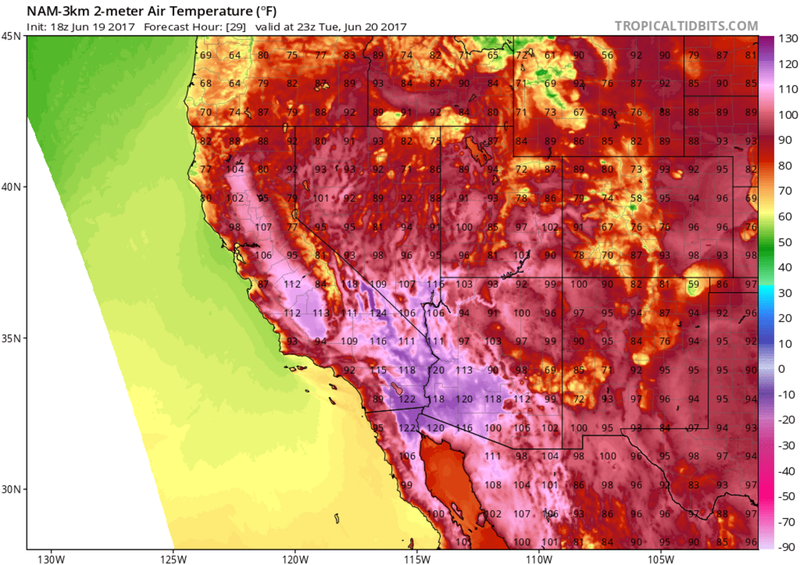 Meteorologists there are expecting temperatures to run as high as 120 degrees on Tuesday and Wednesday, at the apex of the heat wave. The National Weather Service is calling the heat wave "extreme even by desert standards." Heat waves like this are quickly becoming the surest symptom of humanity&apos;s growing influence on the atmosphere. A Phoenix television station broadcast a live webcam of a 600-pound block of ice. In Sacramento, California, a team of meteorologists successfully baked cookies and fried bacon inside a car, with temperatures inside the car reaching nearly 200 degrees. Also on Monday, American Airlines canceled 38 flights previously scheduled for Phoenix on Tuesday—simply because it will be too hot to fly. It&apos;s not necessarily that the pilots and ground crew will need extra rest, it&apos;s that the planes&apos; wings themselves weren&apos;t designed to perform under such conditions. Hotter air is thinner, and provides less lift, making it difficult for planes to take off. As for here in Tucson, where I live, it&apos;s so hot right now, I can&apos;t think straight. Even indoors, a heat like this consumes you. "Cold" water from the tap is hot to the touch. You feel trapped; your daily routine changes to accommodate the inferno. This morning, it was already 85 degrees at 7:30 a.m. Last night, it didn&apos;t drop below 100 until a few minutes before 10 p.m. The last time it was this hot in Tucson, four people died from heat exposure while walking outside. This time around, officials have issued an air-quality advisory to warn of pollution that may become trapped near ground level thanks to the stagnant air. The atmospheric culprit for the heat is a very intense high pressure, which is itself setting records. Though the statistical databases show this high of high pressure to be an approximately one-in-200-year event, these events have been occurring more often lately—with the last one happening just last year. 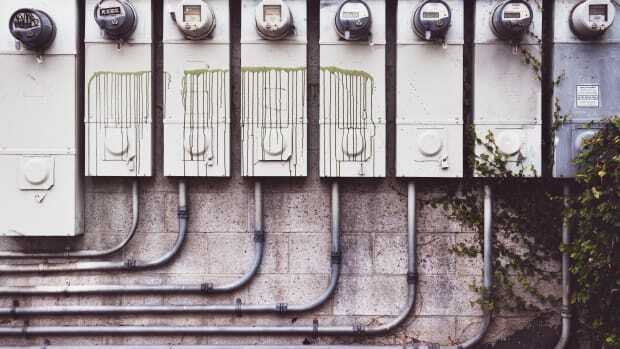 In short, the background signal of global warming makes the entire atmosphere thinner and less dense, supporting stronger high-pressure centers like the one camped out over Arizona this week, which then tend to get stuck in place—cranking up the thermostat over a multi-state region. Heat waves like this are quickly becoming the surest symptom of humanity&apos;s growing influence on the atmosphere. 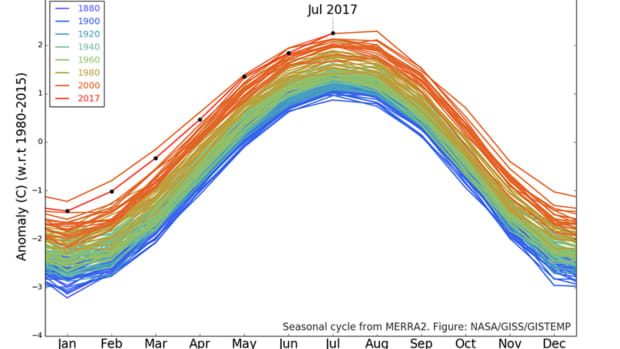 In Tucson, hot days are getting more common, with more than three weeks of additional days spent at 100 degrees or higher since 1980. The warming influence of more roads and parking lots matters, with urban areas warming faster than rural areas over the past few decades, but cities like Tucson and Phoenix are working on mitigating that effect through efforts like expanding urban forestry and installing more light-colored roofs. Climate change, on the other hand, is trending in the other direction. 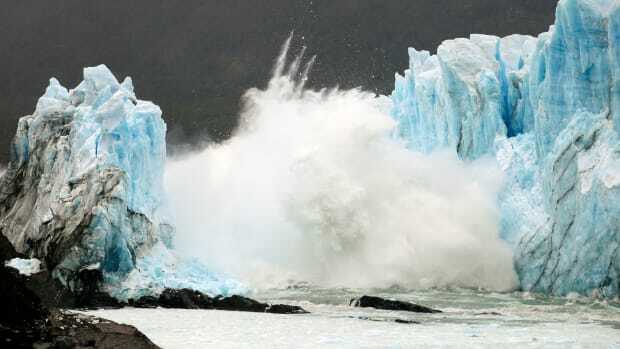 A new study released on Monday says that, by 2100, up to 75 percent of people worldwide could be subject to deadly heat waves should global warming continue on its current pace. 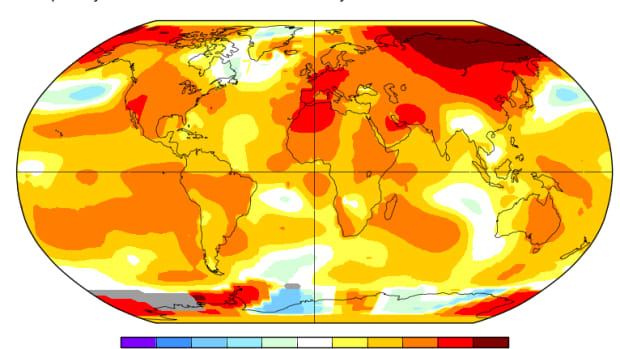 Late-spring warmth encircled the Northern Hemisphere, with records on every continent. 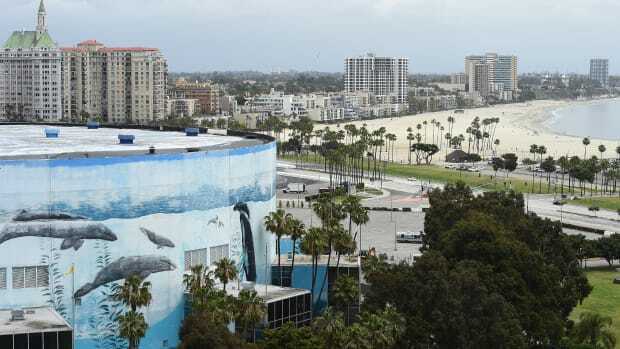 Sea-level rise is often a primary concern for communities coping with climate change, but in Long Beach the government is worried more about the heat.